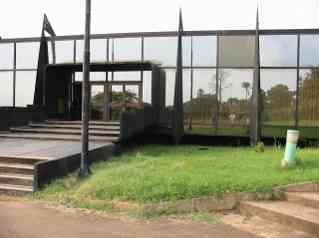 The Dean of the Faculty of Arts of the University of Buea, Professor Albert Azeyeh, invites the public to the launch of Bate Besong’s DISGRACE: AUTOBIOGRAPHICAL NARCISSUS and EMANYA-NKPE, with a foreword by Professor Beban Sammy Chumbow, lately, Vice-Chancellor, University of Yaounde I, under the most eminent patronage of the Vice-Chancellor of the University of Buea, Professor Vincent Pryde K. Titanji on Wednesday March 07th 2007 at the Amphitheatre 750, U.B. at 3:30pm. Dr. Bate Besong is a Cameroonian playwright, poet, outspoken dissident and author of over ten books in creative writing and numerous academic papers in peer review journals. Despite official displeasure and exclusions, he continues to write in newspaper columns and to speak out fearlessly at book launches on the deteriorating political culture after a quarter century of the imperial presidency of Paul Biya. 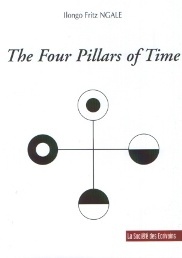 The Four Pillars of Time, a novel by the Cameroonian born IIongo Fritz Ngale was on May 19, launched at the Sullivan Hall , OIC, Buea. 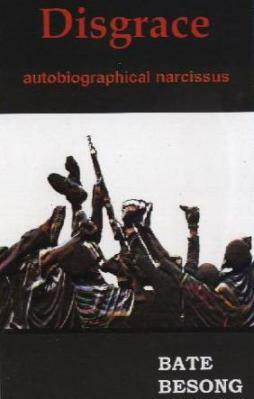 The literary critic, poet and playwright, Dr Bate Besong, BB, praised the author for “constructing an intellectual arsenal for the liberation of the country and the decolonization of the mind”. He pointed out that IIongo Fritz Ngale’s “anti-hero King Lak is a pastmaster at the art of discovering the most ingenious methods of torture and brutality, unleashing a reign of terror and suffering on the innocent people of Suna”. Bate Besong fondly referred to as BB and widely acclaimed as Cameroon’s Wole Soyinka, has won the highly coveted ANA (Association of Nigerian Authors) Prize for Drama. 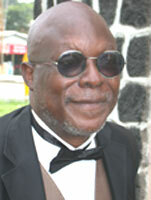 Significantly, the accolades for Bate Besong’s literary works have come from without our frontiers. The enfant terrible of Anglophone literature, Bate Besong is reputed for his incessant scathing indictments of dictators – in Cameroon and Africa. Dr. Bate Besong: Chief Inoni Ephraim’s Constituency – and – Vision will Never go Beyond Bakingili. Bate Besong is the most paradoxical Anglophone Cameroonian writer today… he is also a political activist and a staunch advocate of the Southern Cameroon crusade. B.B., as he is fondly called by his admirers in this brief chat last Wednesday with Ezieh Christopher Andu x-rays the recent cabinet appointed by President Biya. Excerpts. When he published Polyphemus and other Poems in 1980, with Scholars Press Uyo, as a student of English at the University of Calabar, many had thought Cameroonian poet and critic and Essayist, Bate Besong was merely engaged in an ego trip to get some recognition or passing mention. Amongst those who wrote profusely as students then, Emmanuel Anametemfiok, Ishola Dina, and Francis Archibong, only Bate Besong can be said to have sustained the student yet prolific tempo and romantic temper that has now made him the symbol of resistance in Cameroon. After the miraculous transcendental literary flowering of the sixties and seventies, probably topped by late Mongo Beti, Cameroon’s writers dropped from the consciousness of readers. 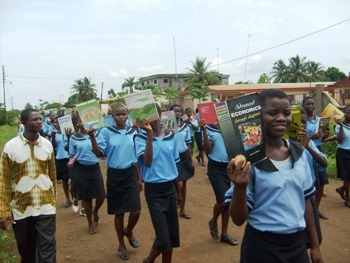 Since then, many complaints have been made about the vexatious habit of not reading in Cameroon. In a New Year message, Paul Biya, Cameroon’s Life President, paid lip service to this malady when he said apathy had stricken the people. But who first cultivated the infernal habit of lying in clover, equivocating and shuffling, so deeply rooted in the very soul of the King Beast himself? CONGRATULATIONS TO A GIANT, SO ACCOMPLISHED AND GREAT!!! No other Cameroonian has made incessant but genuine calls for our society to be measured in terms of how it solves the problems of the masses than Albert Womah Mukong.